The Travelling Lindfields: Seven things you need to know before you visit Alaska. Seven things you need to know before you visit Alaska. Last year David and I drove to south-east Alaska. Yes, I know - there are very few roads and you can't actually drive there. We drove anyway. Most visitors see this part of the world from the deck of a cruise ship and if this is what you are planning, don't worry, we called in at the same towns and ports as the cruise ships so my advice applies equally to you. 1. You can't drive to south-east Alaska. Much of the panhandle of Alaska (the bit on the coast reaching down into Canada) is inaccessible by road. Even towns on the mainland, like Juneau, the capital, are so difficult to get to no-one has succeeding in joining them up with the state's road system. I imagine this explains why nearly all the visitors come by cruise ship. There is however, another way, other than flying of course, and that is to drive using the Alaska Marine Highway car and passenger ferry system. The Alaska Marine Highway connects the port of Bellingham, just north of Seattle with Dutch Harbor in the far south-west of the Aleutian Islands. Previously I have written a series of posts on our experiences driving the Alaska Marine Highway - click here to read them. 2. Alaska isn't always cold. In fact it can be hot, very hot! The average June maximum in Juneau, the capital, is a modest 61.6℉ (16 ℃). When we visited in June 2015 we had several days above 80℉ (26.5℃). Luckily we had a few shorts and T-shirts packed along with the thermals. The Mendenhall Glacier on a hot day. 3. It rains a lot in south-east Alaska. Ketchikan is one of the wettest places in North America, closely followed by all the other towns in south-east Alaska. The first Alaskan port of call for most cruise ships, Ketchikan gets an average of 160 inches of rain a year (more than 4 metres). It is a fun town, if a little like Disneyland on steroids with all those cruise ships, but be warned - take a raincoat. Your best bet for a dry day is either June or July. Ketchikan Harbor. We were lucky and got beautiful sunshine. Without doubt my biggest disappointment in south-east Alaska was the lack of animals. Naively, I expected whales breaching next to the car ferry, and bears and moose grazing by the side of the road. Might you get lucky - sure - but chances are this just isn't going to happen. My advice here is to manage your expectaions and see the next bullet point. The animals are there but they aren't stupid. Ships are huge, and the marine life tends to give them a wide berth. We caught a few fleeting glimpses of dolphins, orcas, and distant whales but nothing to get excited about. We did see a couple of bears. One was a black bear next to the road just north of Juneau and the other a grizzly running along the beach at Haines. Honestly though, if it is animals you want to see, you are going to have to take a separate tour, and for this you should read point 5. on outrageous tour prices. Me, on deck with binoculars, ready to spot the whales we didn't see! Whale watching tours out of Juneau start from upwards of US$100 per person and many are priced a lot higher than that. Want to see the bears at Pack Creek - just a snip at US$689 per person. Or, maybe you fancy a train journey from Skagway along the White Pass and Yukon Railway to Carcross. With a turkey sandwich for lunch this will set you back a mere US$229 per person. 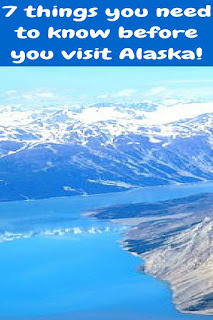 Alaska has done a hugely successful job of selling itself to the rest of the world, particularly my countrymen in Australia, but it does not come cheap and the add-ons can be a shock if you are follish enough to book your airfare and cruise first and think about extras later. While I am on the subject of cruises, did you know that unless you are American or Canadian you will get charged a much higher price by the cruise lines. Click here to read about our experiences with discriminatory pricing based on nationality. Don't imagine either that you will get a better deal by travelling independently. Our experience was that the tour operators are so dependent on the cruise ship industry they will not risk offering better prices to travellers who book with them directly. Whether you travel by cruise ship or not, be prepared to pay the prices set by the cruise industry. Sightseeing planes on the tarmac at Haines. We were told they had been there for many years. It appears the operator went broke when the cruise ships stopped calling in at the town. There is currently a big push amongst the shop owners and tour providers to coax the cruise industry back. 7. Several billion pine trees. Lastly, I hope you like pine trees. Between leaving Vancouver, Canada and arriving at Ketchikan, the first port of call in Alaska, you are going to see a lot of them - and precious little else. Personally, I am not a fan of pine trees. Having seen several trillion of them from the deck of our ship, and even more on the way home along the Alaska Highway, I can confidently say that if I never see another pine tree again as long as I live it will still be too soon. I counted several trillion pine trees. For my Travel Photo Tuesday photo posts on Alaska click - here. Our honeymoon was a cruise to Alaska in 2007 and even then the price for the train in Skagway was out of reach. We'd like to do the cruise again, but this time around visit Denali as well. We didn't get to Denali. I would have liked to but David was adamant it was just too much driving - maybe next time. We drove almost the same route as the Skagway train. The scenery is stunning but you can see it just as well from the road. I have always wanted to see Alaska and this post has made for an intereting read. Would love to make it to Denali. Never been on a cruise ship. I wanted to go to Denali but it just didn't happen. Maybe next time. Alaska is definitely on our list. Waiting until the munchkins are just a wee bit older though. Great list of tips! Take my advice and go while they are young. We travelled with our children when they were little and it was just wonderful. Little children find the magic in everything. The older they get the harder it is to get them to enjoy themselves. Some interesting facts here. I didn't know that Alaska can actually get really warm in summer. You just put it back on my travel list, as I would never travel to a cold destination if I can help it. I hate winters! One question though: why the tents on the ferry? The tents were on the ferry because Alaskans do things differently I think. People actually camped in them. Also there are not nearly enough cabins for the number of passengers so most people slept either in the lounges or the solarium which had sun lounges and was open to the elements on one side or in tents. We had a cabin! It was a lot cheaper if you didn't take a cabin but most of the passengers spent three nights on that ferry - I am just not that tough. Without gaffa tape I don't think any of the tents would have survived the first night, let alone the next and the next. Dropping by from #WeekendWanderlust. I hope to explore Alaska in the future. I've only visited California so I look forward to going back to the US to see the other states. California is a great place to visit but the U.S has so many interesting sights it is hard to know where to start. I didn't see a single moose which was really disappointing. After Alaska we drove the Icefields Parkway in Canada where we still didn't see moose but we did see lots of other animals including bears. True, all true! As you said the smart wildlife is not coming out when there are people around! It is a bit of a shame though, if like me, you are an animal spotting tragic. I am an Alaska junkie, watching every TV show there is on this state.I wanted to see a moose in New England, when we there until I saw a taxidermic one in a museum, and decided that I wouldn't like to see one on the road at all. They are huge. We saw three of them cross the road in front of us in Maine many years ago. They were beautiful. Please don't hold those silly shows against us, many of us are smarter than that. Haha - I know what you mean. Australians are so stereotyped by Hollywood that it must come as a shock to the average tourist to see that most of us live in cities, drive nice cars and wear suits to work. You were lucky with your weather - we were there in August and it was 55F and rainy most everyday. I wore a long sleeve shirt with a fleece and a raincoat over it. Loved, loved, loved taking the ferries and yes, seeing lots of pine trees. Didn't find the high prices on excursions as you did but did find food to be outrageously priced. Definitely want to go back but this time go to Denali. Do you think you'd ever go back again? I would love to go back and like you get to Denali this time. I'm not sure my other half is so keen though - maybe one day. Interesting remarks, Lyn. I also was very disappointed about not seeing almost any animal in over a week, but most likely you have to get deeper into the wilderness in order to see them. As for the high prices, I'm not surprised. The harder it is to bring merchandise to an area, the higher the prices. Thank you for joining me for #TheWeeklyPostcard this week-end. I remember reading your post about not seeing any animals even at Denali. It made me feel like I wasn't the only one. Alaska is on my wish list, though living in Norway, I imagine it's quite similar, with mountains and fjords... and pine trees. Still... got to see Alaska. Ha ha - Norway is on my list. In fact David and I are in the early stages of planning a trip there. Thanks for mentioning the pine trees. We will still go but at least now I am forewarned. 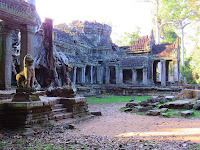 It is a great destination but also very expensive if you want to take any tours. Very interesting about the cruise line prices, and noted. I also hadn't ever considered driving there, and had forgotten about the possibility of it being hot in Alaska - one tends only to think of ice and snow - which is why I was initially amused to see tents on the Alaska Marine Highway! I had an involuntary shiver! I'd love to visit Alaska, cruise or drive. With all the hype it is one of those places which is on nearly everyone's whishlist. I am glad I ticked it off but D was very underwhelmed so I don't think we will be returning there anytime soon. these are great and very practical tips. This is my concern with a Alaska cruise: if you don't do the shore excursions you miss a lot, but they're very expensive. i guess it's a trip you have to save for! The thing I don't like is the feeling that the cruise ship operators are making an exorbitant profit on the side-trips and there is no way around that. Even booking the trips independently doesn't seem to make a difference. Can I come to Dutch Harbor with you? D absolutely refuses to go that far but it looks like such a great adventure. Thanks for these posts Lyn... you have definitely given me food for thought for when we do plan our trip. I am going to have to figure out the Alaska Marine Highway, as we will probably travel by RV there. Maybe we will park it somewhere and cruise up the coast. Anyway, great posts! We saw plenty of RVs on the Alaska Marine Highway. It isn't cheap though and you have to book early. You could do what we did - disembark at either Haines or Skagway, which are both connected to the mainland road system, and drive back south on the Alaska Highway. 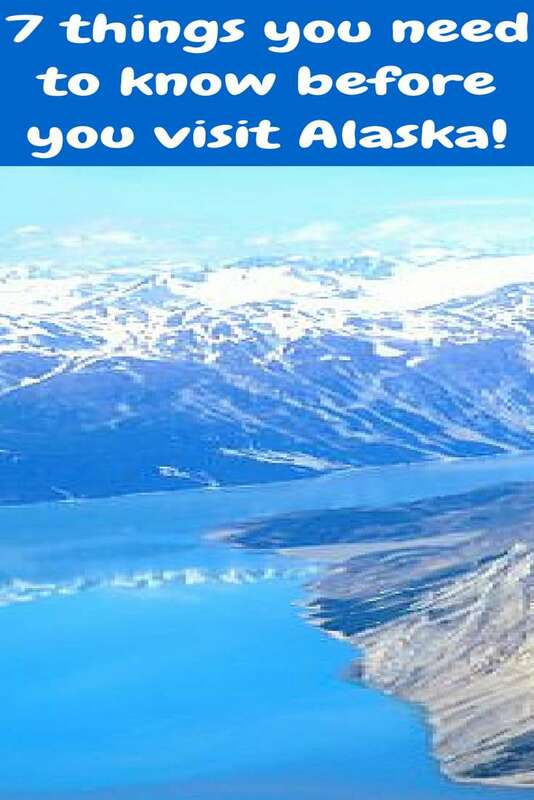 Good tips on visiting Alaska Lyn. My Dad went to Alaska last year and he also commented on hot it was whilst they were there. Hot days and warm nights are something you just don't expect in Alaska. We got a few cold days as well, but not many. This is very enlightening, especially all the info about the outrageous prices. There's 5 people in my family, so OUCH for the wallet. We're hoping to head up to Alaska in a few years. My son's Boy Scout troop is planning a 2 week hiking trip, and I wonder if they'll be pitching tents aboard the ferry, too. I'd love to see a grizzly for free and from the safety of my car. Five people in the family will make for a very costly trip. You have my sympathy. My husband and I moved to Alaska (rural, Eastern Alaska, but on the road system) in 2014. I was here for more than 3 months before I saw a moose. You are absolutely right - there are animals here, but they're smart, and they stay hidden. I think that if you go to Alaska and you want to see animals you have to have a plan, rather than just expecting them to be there when you look. My husband isn't interested in seeing animals so it was hard to get him enthusiastic about making much of an effort to look for them. I can't complain though I did end up getting a great view of a bear from The Icefields Parkway.